Ever wonder what all those complicated financial terms like "Quantitative Easing" mean? Here's a great video that explains it -- and the absurdity of it -- perfectly. I have blogged about this topic before: I have been recommending for a couple years now about how Microsoft offers what I consider to be the best virus protection -- and it's free. Years ago I came to the conclusion that most, if not all, commercial virus protection software is a racket, designed to scare you year after year into constantly buying the annual upgrades. That's why these packages advise you (amongst other things) about "evil cookies" that the program thankfully "eradicated" from your computer. Give me a break! That's the biggest crock in the industry -- that cookies are somehow "evil", and that everyone should go around fearful of having them on their computer. Let's say the virus software companies told you the truth -- that cookies were completely harmless little text files, and that not one single person on Earth had their computer corrupted by a cookie. And in addition to telling you the truth, they stopped their software from the useless (and often annoying) practice of deleting cookies from your computer. What would happen then, when you scan your computer for viruses and come up with "no viruses found" time after time? You'd begin to realize that their software was not really necessary, and maybe you'd skip that next annual upgrade. And don't think they don't know it. That's why they make sure that their scanning software always finds "evil stuff" when you run a scan. So you're like, "Thank God I was protected by their great software." You know what's evil? The fact that they corrupt your perspective into thinking little text files called "cookies" are evil so that you'll continue wasting your money on their software. It runs silently in the background, monitoring all files for possible virus activity. If you were to try and do something like download a file containing a virus, it will alert you and give you options for how to deal with it. Selecting the option for the software's "default action" is usually best. You can set up the program to automatically run a scan of your whole computer on whatever schedule you wish. You can also set up the program for an "advanced membership", which I recommend. Again, it does not cost anything, but it gives your software more options. All of the pay software companies out there make claims that Microsoft's free software is nowhere as good as their commercial software. Hogwash! The fact is that the Security Essentials scanning engine is exactly the same one used in Microsoft's high-end ForeFront anti-virus software that Microsoft sells to businesses. It is top-notch, and often obtains some of the highest scores in the industry for threat detection. Check out this article over at ZDNet that came out today showing that Microsoft's anti-virus software is detecting viruses that most other pay software can't. So, if you're looking to have your Windows-based computer well-protected against threats, install the free Microsoft Security Essentials software, and use the built-in Windows Firewall software to block Internet intrusions. In this case the best threat protection is free! 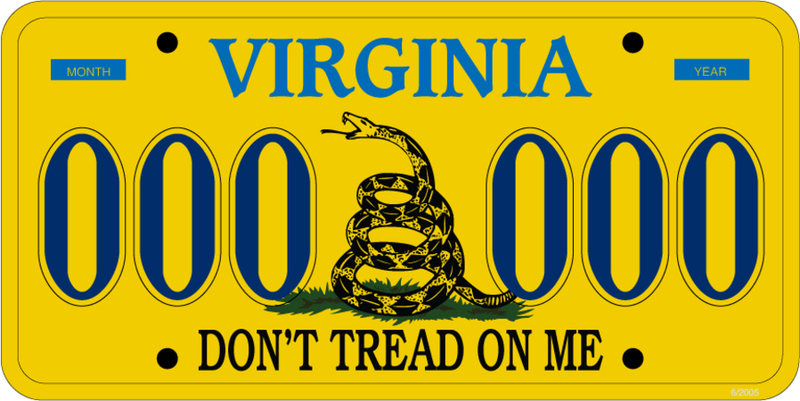 Virginia is probably going to offer these plates -- Texas may be next. I hope, hope, hope that New Jersey gets 'em too. I'll be the first in line, for sure. Lottery Post on DRUDGE REPORT!! Check it out! Lottery Post has hit the big time, with a link on DRUDGE REPORT!